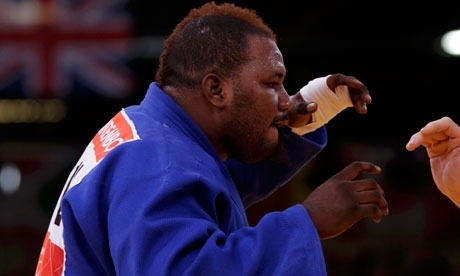 A judo player and three other members of the central African country’s Olympic delegation have been missing in London since the weekend, adding to a list of seven other African athletes who have vanished during the Games. Missing indeed…LOL. I thought Cameroon was the only going to mess with the dignitary of African sports men and women, but I guess more will join the run-away to seek greener pasture in Britain. I think some of these sportsmen and women do not think ahead of time. If you are doing great in your country and have been selected to represent a whole country at such a historic event, what stops you from going back and working hard on your talent? Of course, unless they are not genuine ‘sportsmen’. @Dr. Miyagi, WHO WANTS TO ESCAPE TO BRAZIL…. WHAT DEY FOR DER.. EBI WE WE NO GO GO.. LIKE SOME EUROPE OF AMERICAS WEY WE GO GO… WHATS IN BRAZIL I MUST STOWAY TO… MAKE WE THINK..